Let us protect your MINI to the fullest extent with an Extended Warranty, please contact Otto’s MINI to review all of your options, answer your questions, and make sure you and your MINI feel protected to take your MINI Motoring experience to the fullest! Whether you’ve got a new, used or Certified Pre-Owned MINI to enjoy, the last thing you need is to worry about continuing warranty protection. 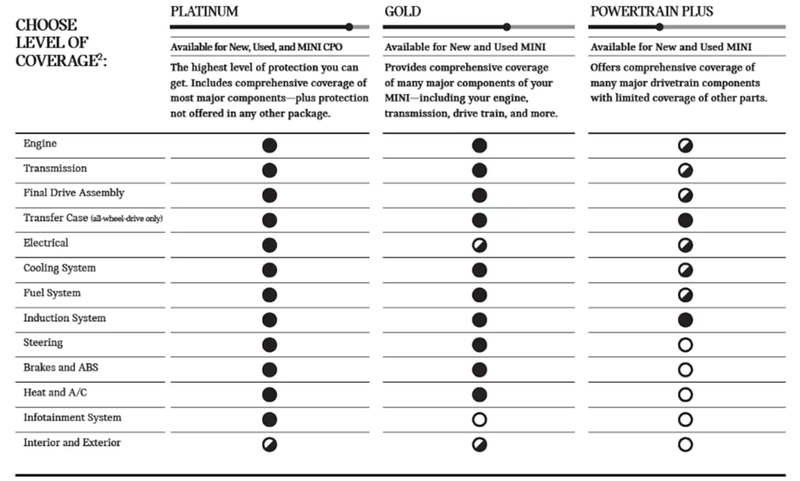 MINI Extended Service Contracts lets you extend your original 4-year/50,000 mile MINI Warranty or your MINI Certified Pre-Owned (CPO) Warranty before your current warranty expires. 100% original MINI replacement parts. Covered repairs performed at an authorized MINI facility by trained MINI technicians. Protection of your vehicle’s performance and resale value. Contact your MINI Center about MINI Extended Service Contracts today.